Ten Central Piedmont students and one Service-Learning Coordinator will spend spring break volunteering in Puerto Rico, as part of Central Piedmont’s International Alternative Spring Break. The island of Puerto Rico is considered a “commonwealth” of the United States, so students do not need their passports to travel. Our dedicated team will work at an orphanage and help rebuild communities hit by Hurricane Maria. Although Puerto Ricans are U.S. citizens, they are not allowed to vote in presidential elections. Global Learning & Service-Learning at CPCC are offering an amazing and free opportunity for students, staff, and faculty. This event is sponsored by Doctors without Borders and is called Forced from Home; it travels the country and will be in Charlotte on October 7-14, 2018. Forced from Home is a free, interactive, outdoor educational exhibition that raises public awareness about the experience of the world’s more than 68.5 million refugees and internally displaced people. This educational event helps attendees learn about the many challenges people on the move encounter and the work Doctors without Borders does to address their basic medical needs in a host of settings. We believe it to be very important to offer this opportunity of civic engagement for our students, and we have set up two options where CPCC students can attend as a group with a faculty or staff member as part of the experience. This will allow all of us to experience the exhibition together, and we will offer a reflection for the students at the end. Students will be awarded two Civic Engagement hours on their service transcripts for attending this experience. The Forced From Home Exhibition will be at the NASCAR Hall of Fame: 400 E M.L.K. Jr Blvd, Charlotte, NC 28202; you will need to provide your own transportation to and from this event. The main entrance for the parking garage is located on Martin Luther King Blvd. between Brevard St and Caldwell St.
We will also be hosting a Deliberative Dialogue on the refugee experience that we encourage all attending students, staff and faculty to come to. This will take place at Central Campus on Tuesday, October 30, 2018, from 3:30-4:30 p.m. The room will be sent once everyone is signed up. We need at least 10 participants to make this part of the experience happen. Deliberative Dialogues allows people to share their perspectives and experiences with one another about difficult issues we tend to just debate about or avoid entirely. Students will receive 2 hours of civic engagement credit for participating in this opportunity as well. You do NOT have to attend the exhibit to attend the dialogue – all are encouraged to come and learn from one another. If you have questions, please email jenn.marts@cpcc.edu. Need service-learning hours for class? Interested in completing service with your student club? Come meet some of CPCC Service-Learning’s community partners! 14th Annual MLK Challenge Set for Jan. 15! The 14th Annual MLK Challenge will take place on January 15, 2018. This event celebrates the life and teachings of Dr. Martin Luther King Jr. The day incorporates an educational kick-off, service projects, and a reflection wrap-up. We will begin with an introduction to King’s life and lessons, students are then randomly assigned to groups and given a service project at a local organization to complete. Students must work together and utilize problem-solving skills in order to finish their task. At the end of the day, we will reassemble to reflect on their accomplishments in a guided discussion. This helps students process all that happened during the day. This event is free and open to the CPCC community only. We will provide transportation, breakfast, lunch and dinner. Participants are asked to dress for anything. Registration begins 8 a.m. the day of the event in lobby of the Zeiss Building. Details: MLK Challenge, January 15, 2018; 8 a.m.-4:30 p.m.
To sign up for this event please click here or contact Savannah Greer at savannah.greer@cpcc.edu , or Jenn Marts at jenn.marts@cpcc.edu or 704.330.6824. Participate in our Toys for Tots Drive! All CPCC students who want to help make a child’s holiday special are invited to participate in our upcoming Toys For Tots Drive! What: CPCC Service-Learning, Rotaract and Phi Theta Kappa are collecting donations of unwrapped toys for Toys For Tots – you can grab an angel off any of the Toys for Tots holiday trees, or buy any toy that you think a child would love to have as a gift! Please leave them unwrapped and only donate new items. Help us make the holidays brighter for a child in need! Questions? Contact Director of Service-Learning, Jenn Marts, at 704-330-6824 or Jenn.Marts@cpcc.edu. In honor of Dr. Deitemeyer’s upcoming inauguration on Nov. 3, CPCC’s Service-Learning and Student Life teams have coordinated a number of community outreach initiatives focused on feeding Charlotte’s hungry during the week of Oct. 30. CPCC students, faculty and staff are invited to participate in the following events taking place at CPCC campus near you! Enjoy a free dessert from one of the on-site food trucks (while supplies last! ), sign a well wish card for Dr. Deitemeyer and more! Help us reach our goal of making 2,500 sandwiches during this special week of service. We look forward to seeing you there! 10 a.m. – noon and 5:30 – 6:30 p.m.
Register for the National Bone Marrow Registry on Nov. 1! honor of Dr. Deitemeyer’s inauguration on Nov. 3. CPCC and Project Life invite students to attend its upcoming Drive Thru Swabbing event, being held on CPCC’s Central Campus from 10 a.m. – 2 p.m., on Nov. 1, in the Overcash Driveway. CPCC-based student organizations, including Rotaract Club, Cytotechnology Student Association and Phi Theta Kappa Honor Society, are all partnering with CPCC Service-Learning/Student Life to play a key leadership role in this initiative which seeks to add 700 new donors to the National Bone Marrow Registry List. During the event, participants will have the inside of their cheeks swabbed for a tissue sample and complete paperwork. The process will take no longer than 10 minutes. After completing the registration process, participants will not only be added to the National Bone Marrow Registry List, but also have the opportunity to enjoy a free lunch – provided by CPCC’s Baking & Pastry Arts students – sign a well wish card for Dr. Deitemeyer and win a variety of prizes. Come out and be a part of the movement and help save a life! CPCC’s partnership with Loaves & Fishes continues during Dr. Deitemeyer’s inauguration week when Loaves & Fishes sets up food barrels at each CPCC campus between Oct. 19 and Nov. 30. The CPCC community is invited to donate non-perishable items during this time. If you’re not sure what to donate, visit the Loaves & Fishes Priority Needs List. All donated items will help feed individuals and families in need who are experiencing a short-term crisis by providing them with a week’s worth of nutritionally balanced groceries. Thank you in advance for your generosity and helping a neighbor in need! As you’re participating in the various Service-Learning events taking place in celebration of Dr. Deitemeyer’s upcoming inauguration on Nov. 3, don’t miss the opportunity to write her a well wish card. Staff will be on hand to direct you to the card signing table at each event where you’ll have the opportunity to write a personal message to her as she officially begins her tenure as CPCC’s fourth president. Completed cards will be displayed at the Inauguration Luncheon (which students are invited to!) on Nov. 3 for all to read! Thank you for participating! The Emergency Food Pantry is able to provide individuals and households within the CPCC community with a two-day supply of non-perishable food per visit. The amount of food you receive depends on how many people live in your household. You are eligible to visit the food pantry two times each month. Monday and Thursday from noon – 4 p.m. The pantry is located in Pease 066. For more information please contact Dena Shonts at ext. 6558, dena.shonts@cpcc.edu or visit http://www.cpcc.edu/service-learning/emergency-food-pantry. 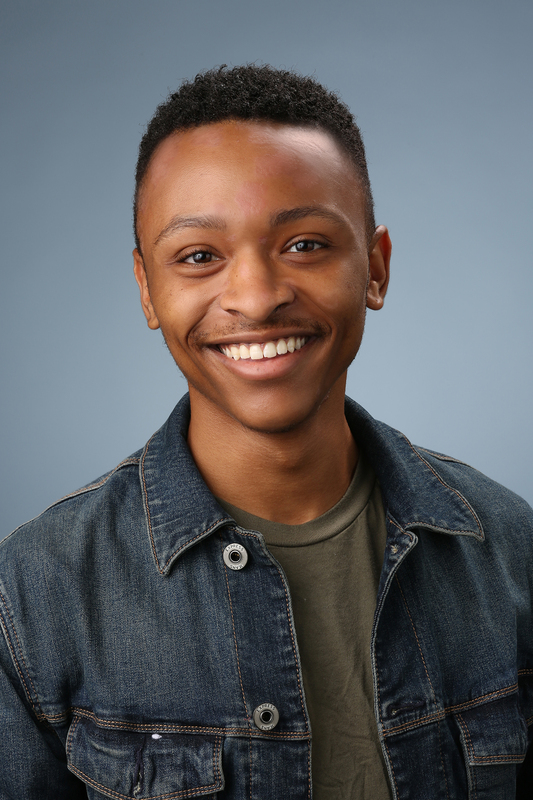 Central Piedmont Community College student DaQuane Cherry has been recognized for outstanding leadership and service by North Carolina Campus Compact, a statewide network of colleges and universities with a shared commitment to civic engagement. Cherry is a recipient of the network’s Community Impact Award, honoring one student leader at each member school. Cherry is one of 25 students selected by their campus for the 2016 honor, joining more than 200 college students recognized by the network since the award was first presented in 2006. A second year marketing student from Elizabeth City, Cherry has been an active leader across the spectrum of civic and community engagement at CPCC. He is a SGA Senator and serves as the Election Engagement Fellow on Central Campus, working to engage his peers in the 2016 election. As a Rotaract member, he has been part of many community-based service projects, and as a Service Learning Program work study student, he has helped other students become involved in service learning. He is also a frequent performer in CPCC plays and musicals. Dr. Jenn Marts, CPCC’s Director of Service-Learning, says Cherry “has been a fantastic addition to the Service-Learning team,” and she praises his “outgoing, energetic, inclusive” leadership style. Cherry will be honored at the Compact’s annual CSNAP student conference, held this year on November 12 at the University of North Carolina at Asheville. The event will convene more than 160 students and staff from 24 campuses in the network. In addition to awards and networking opportunities, the conference will include student-led workshops on diverse community engagement topics and a showcase of organizations working for social change, including the Campus Kitchens Project, Rachel Carson Council, and the Sustained Dialogue Institute. North Carolina Campus Compact is a statewide coalition of 36 public, private, and community colleges and universities that share a commitment to civic and community engagement. The network was founded in 2002 and is hosted by Elon University. North Carolina Campus Compact is an affiliate of the national Campus Compact organization, which claims 1,000 member schools representing nearly 2 million college students. Please join the Service-Learning Center and Community Blood Center of the Carolinas for a blood drive on November 17 in the Overcash Lobby! The Bloodmobile will be available from 10:30 a.m. – 2 p.m. No appointment necessary. Help save local lives! All donors will receive a free T-shirt. Please contact Kay.Printy@cpcc.edu with and questions. The annual Toys for Tots drive is kicking off at Central, Merancas, Levine, Harper and Cato campuses the week of November 3, 2016, and running through December 1, 2016! Service-Learning, Student Life, Rotaract Clubs, and Phi Theta Kappa have come together to sponsor this annual toy drive campaign in conjunction with United States Marine Corps to provide gifts to children in need during this holiday season. The primary goal of Toys for Tots is to deliver, through a new toy at Christmas, a message of hope to less fortunate youngsters that will assist them in becoming responsible, productive, patriotic citizens. All you need to do to participate is to donate a small gift and we will make sure that these are given to the Toys for Tots to help brighten the holidays over 7 million children throughout the United States. Please consider picking up an extra gift this season to donate to this wonderful organization, or feel free to donate a few dollars to help purchase gifts. All donations can be dropped off at the Service-Learning Center, Overcash 257 from 9am-5pm, or to the Student Life / Service-Learning Center at your individual campus. Please make sure that all gifts are unwrapped and are turned into our donation areas prior to noon on Thursday, Dec. 1. If you have any questions, please contact Jenn.Marts@cpcc.edu and thank you ahead of time for your generosity this holiday season! Please note: The Toys for Tots campaign officially ends on Dec. 1, which will be our final pick up. If we receive any items that Toys for Tots cannot accept or late donations, Service-Learning will share all donations with another local non-profit that we work closely with, Birthday Blessings in Matthews, NC, an agency that provides birthday parties and gifts for children in need. up. We will begin with an introduction to King’s life and lessons, students are then randomly assigned to groups and given a service project at a local organization to complete. Students must work together and utilize problem-solving skills in order to finish their task. Registration begins 8 a.m. the day of the event in the Student Commons area of the Overcash Building. Details: MLK Challenge, January 16, 2017; 8 a.m.-4:30 p.m.
To sign up for this event or to learn more please visit our website: http://www.cpcc.edu/service-learning/events-and-programs/mlk-challenge or contact Dena Shonts at Dena.Shonts@cpcc.edu, 704-330-6558 or Kay Printy at Kay.Printy@cpcc.edu or 704-330-6183.